SEOUL, SOUTH KOREA, March 29, 2019 — Sharing parking lots are getting popular among citizens. The Seoul Metropolitan Government has started a project to share the parking lots from 2007, which shares spare parking spaces at the attached parking lots of the buildings with local residents. As of the end of 2018, a total of 666 parking lots with 19,091 parking spaces in the city are currently joining this project. The Seoul Metropolitan Government plans to expand its support for participating building owners in order to secure additional 1,200 parking spaces this year. In the case of apartment buildings, so far, the city government had provided the financial support only when they share the parking lots at night or all day. However, from this year, up to 20 million won will be provided to the building owners for their parking facility improvements even if they offer the parking lots only during the daytime. The sharing parking lots will be managed and operated by each autonomous district office or each district’s facility management corporation in an effort to address complaints about illegal parking cars and to prevent reckless applications only seeking for profits. In addition, the Seoul Metropolitan Government will share its role with autonomous district offices to strategically secure additional sharing parking lots. They are committed to encouraging, especially, large super stores and corporate headquarters to share their parking lots at each branch of the store or the company. Public servants from each autonomous district office will directly visit schools, churches and neighborhood commercial facilities to attract their participation. The reason why these sharing parking lots are gaining popularity is because it is a win-win project for everyone involved: Parking lot users are allowed to use parking spaces in a stable manner and in a cheaper way, while building owners who share parking lots may receive up to 25 million won for the improvement of parking lot facilities (20 million won for sharing only at night and 25 million for all-day sharing). The building owners are expected to get 20,000 won to 50,000 won monthly per parking space, and receive a 5 percent or less reduction in the traffic inducement charges according to their performance. 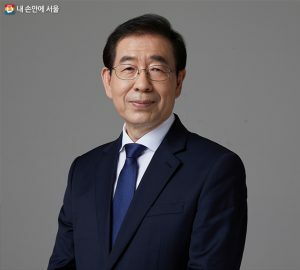 In addition, the Seoul Metropolitan Government will provide up to one million won in compensation insurance for a possible vehicle damage to help both building owners and parking lot users feel safe. Additional five million won each will be provided for the maintenance if the sharing parking lot is operated for more than two years. The reason why the Seoul Metropolitan Government and the autonomous district offices are striving to expand the sharing parking lots is because this project has a huge budget-saving benefits. It costs at least 50 million won to create a single parking space in Seoul, but just an average of 440,000 won will be spent per parking space when they support the sharing parking lots.